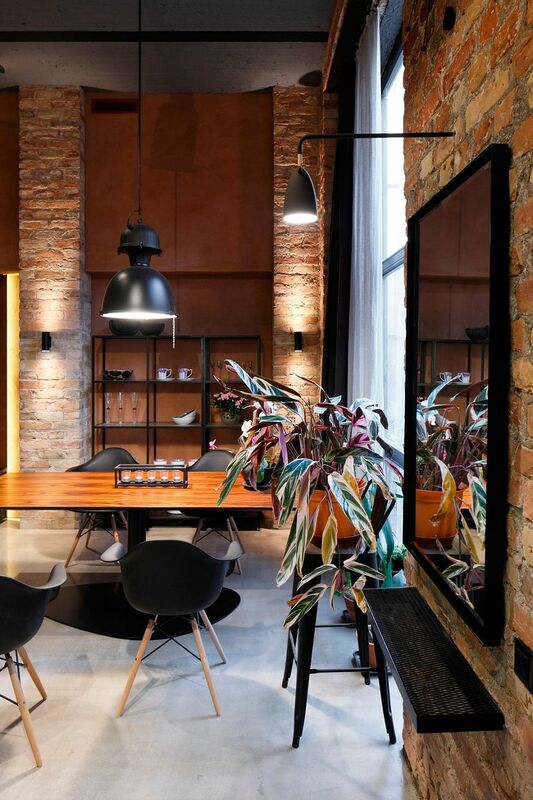 A bustling city and cultural hub on the coast of the Baltic Sea, Riga is a city where old world charm meets modernity in a distinct and inimitable fashion. 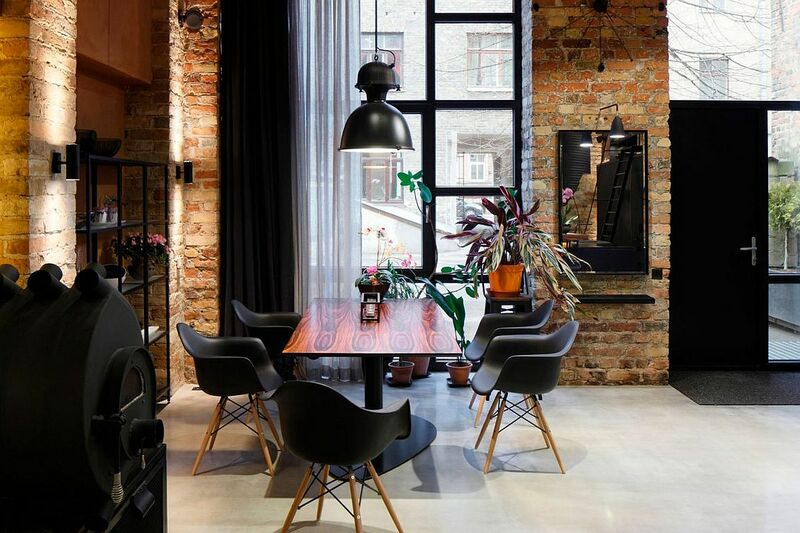 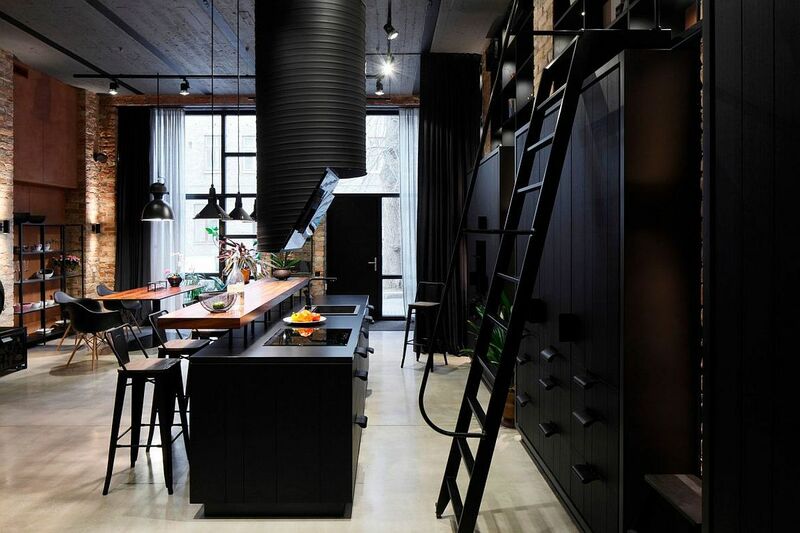 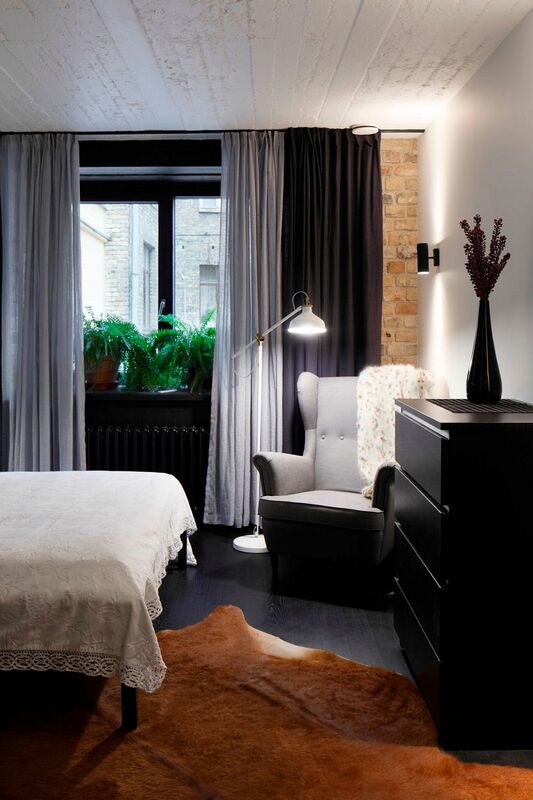 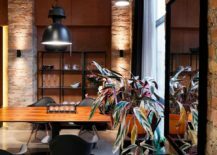 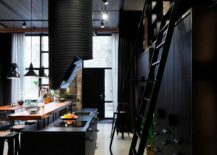 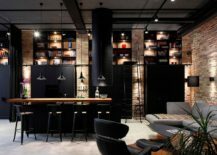 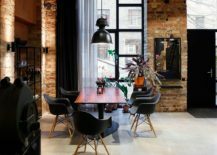 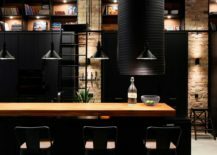 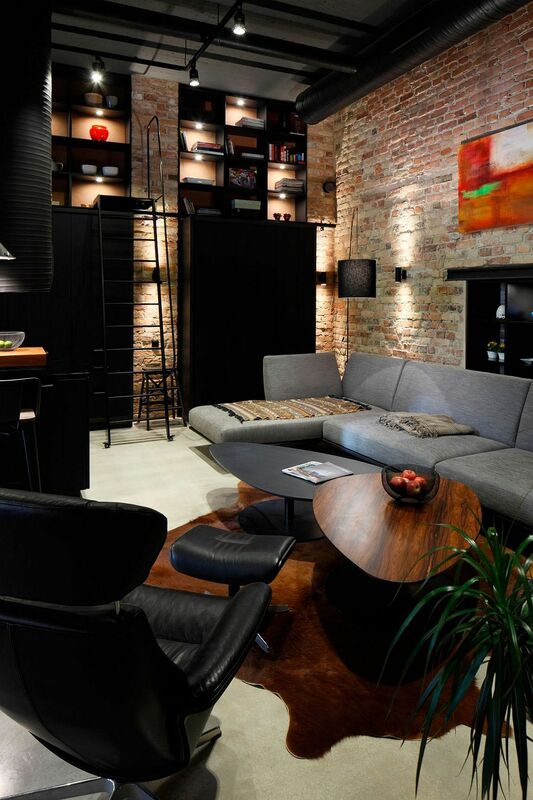 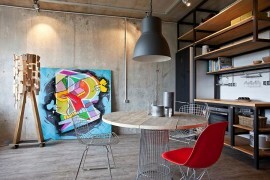 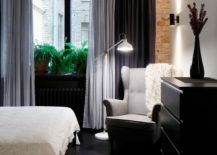 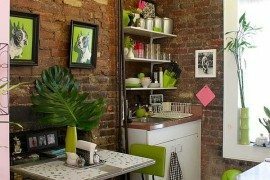 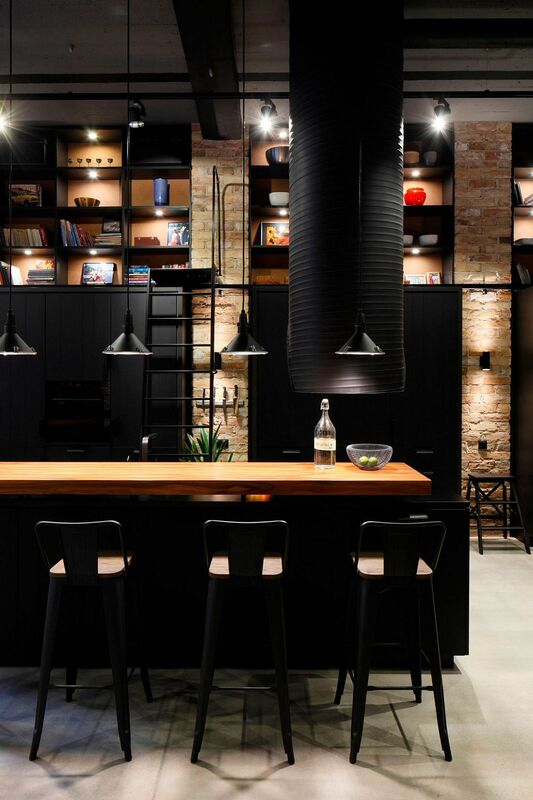 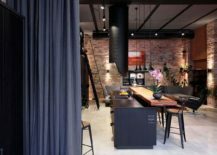 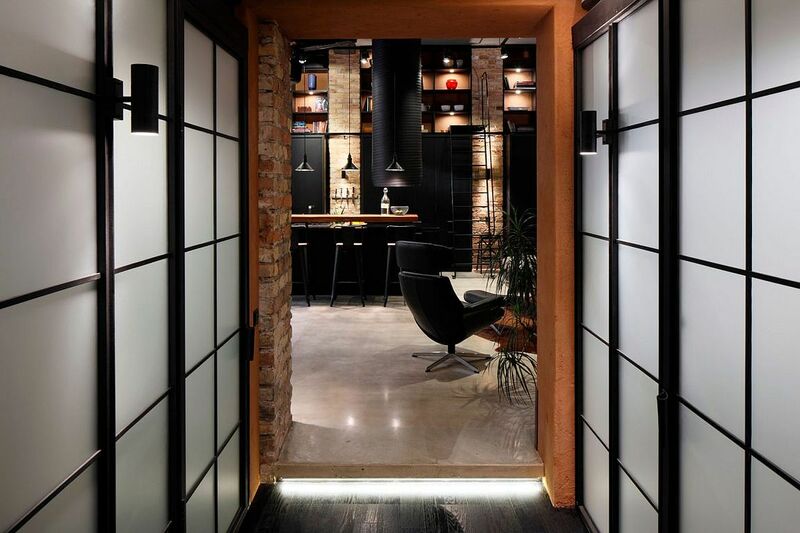 Nestled in the heart of the lovely Latvian capital is Apartment UV, which is a part of a trio of loft-style apartments that were crafted out of an old city building. Inspired by the design of industrial townhouses, the fabulous apartment combines Scandinavian décor, Dutch design inspiration and a sense of modernity with classic industrial architectural elements to leave you spellbound. 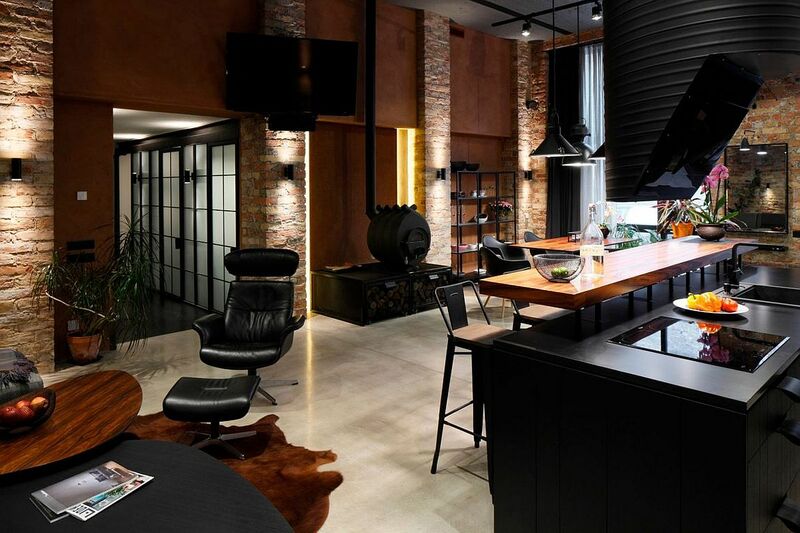 Conceptualized and brought to life by OPEN AD – Architecture and Design, the exquisite apartment definitely moves away from the mundane. 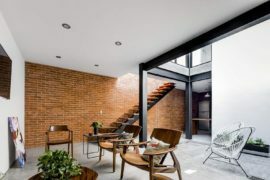 A small internal courtyard leads to the apartment where a spacious entry gives way to the open plan living area. 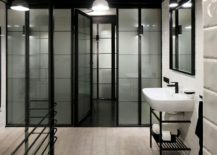 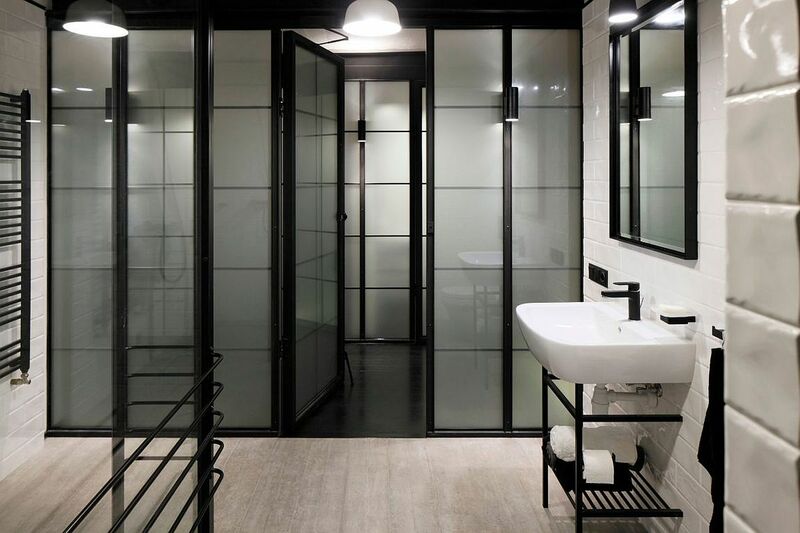 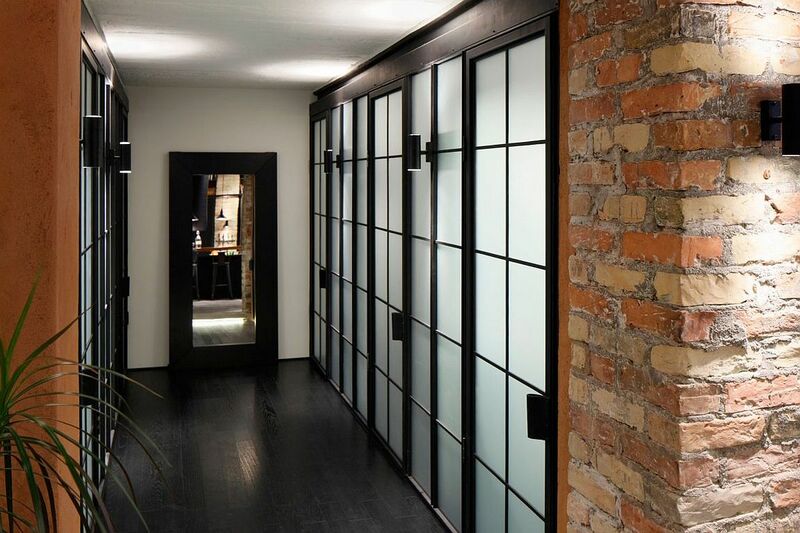 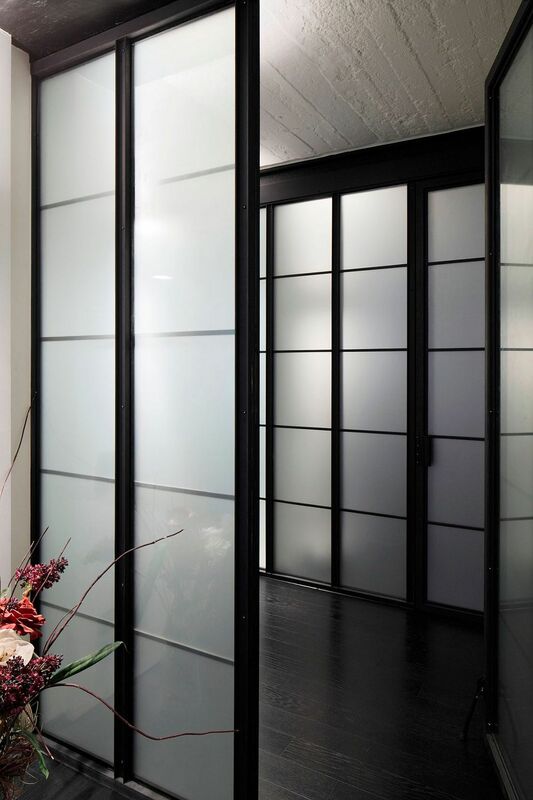 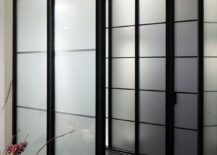 Translucent screens with dark, metallic frames act as room dividers that allow light to pass through, even while elevating the industrial aura of the home. 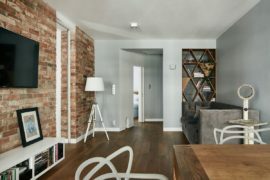 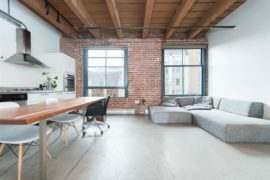 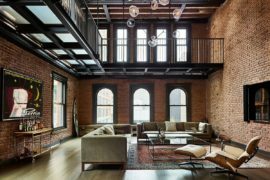 The open living area is characterized by its gorgeous exposed brick walls, contemporary concrete surfaces and metallic finishes; all of which sit comfortably next to one another. 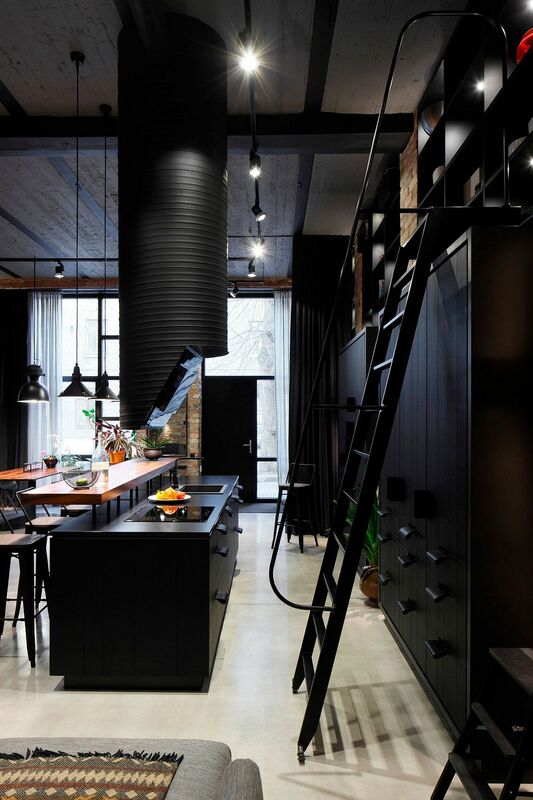 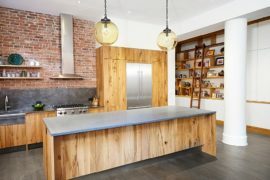 The dark and dashing kitchen with shelves and cabinets that reach all the way up to the roof, a dynamic and versatile island with breakfast bar, and a cozy dining room with industrial-style lighting complete this space.